Former Chelsea managing director Christian Purslow believes the club’s owner Roman Abramovich will have felt anger and “extreme hurt” over the antisemitic chant heard from Blues supporters earlier this week. On Thursday during the 2-2 Europa League draw with Vidi in Budapest, a vocal minority of Chelsea fans were heard singing a derogatory chant about Tottenham supporters, featuring antisfemitic language. Chelsea promised to take the strongest possible action against any supporters found to have sung the chant. Speaking on Sunday on BBC Five Live’s Sportsweek programme, Purslow said of Abramovich, who is Jewish: “He and his right-hand man Eugene Tenenbaum, who I know well, have been absolute pioneers in the education process, to try to root out the scourge of antisemitism and bigotry. “My immediate reaction was that they would feel hurt, anger, but extreme hurt, that it would happen in their football club. “Knowing those two men as I do, to own a football club that would be associated with that would be deeply painful. “For Roman, I can only imagine what he thought, in terms of thinking how much work has gone in to try to resolve this problem and seemingly with absolutely no progress. 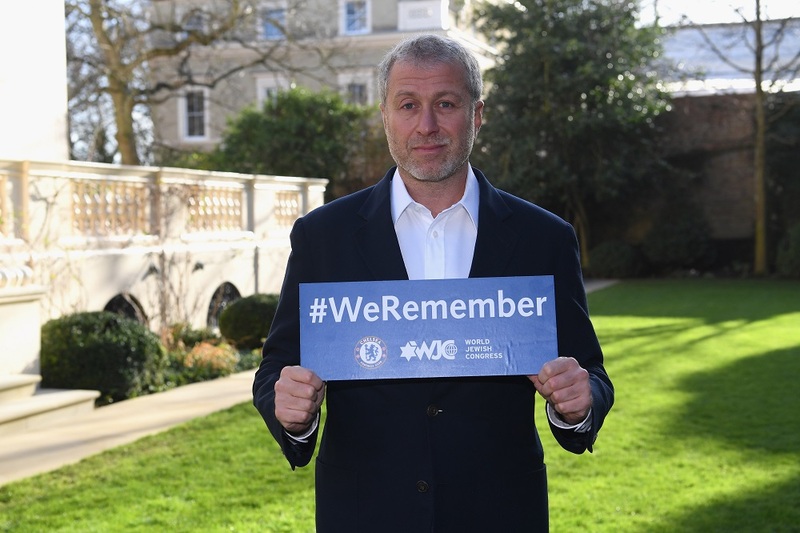 Chelsea launched a campaign in January to raise awareness and educate about antisemitism in football. Thursday’s incident came just days after four Chelsea fans were suspended for abusing Manchester City’s Raheem Sterling. Chelsea and the Metropolitan Police opened investigations after alleged racist abuse was directed at Sterling by a section of home supporters during the match against City at Stamford Bridge. Lord Ouseley, who this week announced his intention to step down as chairperson of anti-discrimination charity Kick It Out at the end of the season, said of the Sterling incident that “the people with the power” in football were being “absolutely complacent and reticent”. Ouseley said: “We have to have a collective responsibility at the top of the game. “The people with the power, who make the decisions, can change the game, but they are absolutely complacent and reticent.